I’m excited to be offering this first ArtWrite workshop in Bath on Saturday. 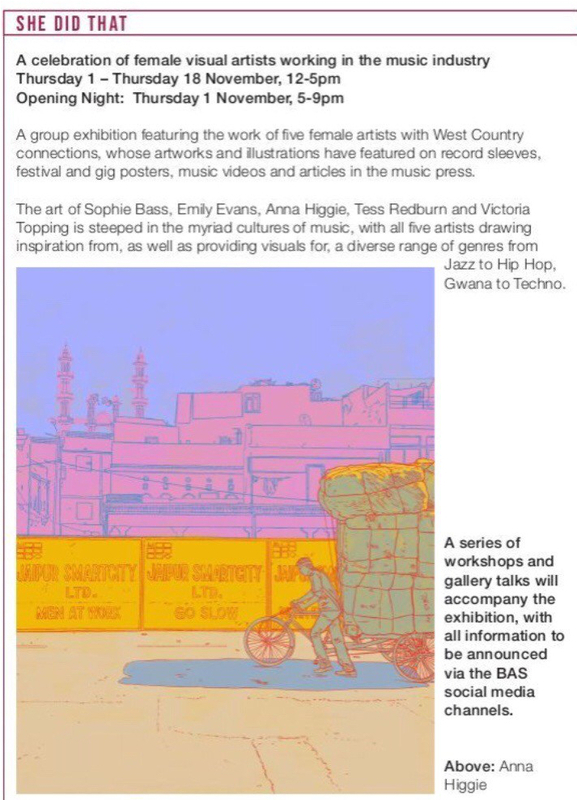 Chris Lethbridge at Bath Art Studios attended Now in Then, my Wiltshire Archives project in Chippenham 4/5 years ago, and recently contacted me about running workshops with this exhibition of five female artists which is right up my boulevard. The artists have created work inspired by music so you have this kind of blending of art forms inspired by each other. 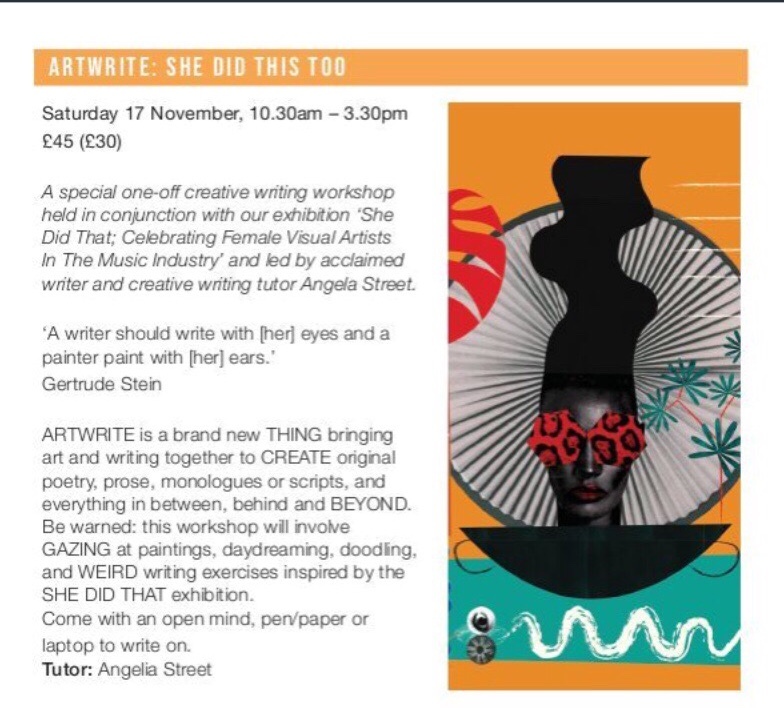 In the past I’ve facilitated writing projects based on the art of Frida Kahlo, and William Blake, and also worked with local artists and sculptors using their work as a starting point. Payment is by BACS or cheque in advance. Booking and payment essential to secure a place. Fees are non-refundable except in the unlikely event we have to cancel the workshop.